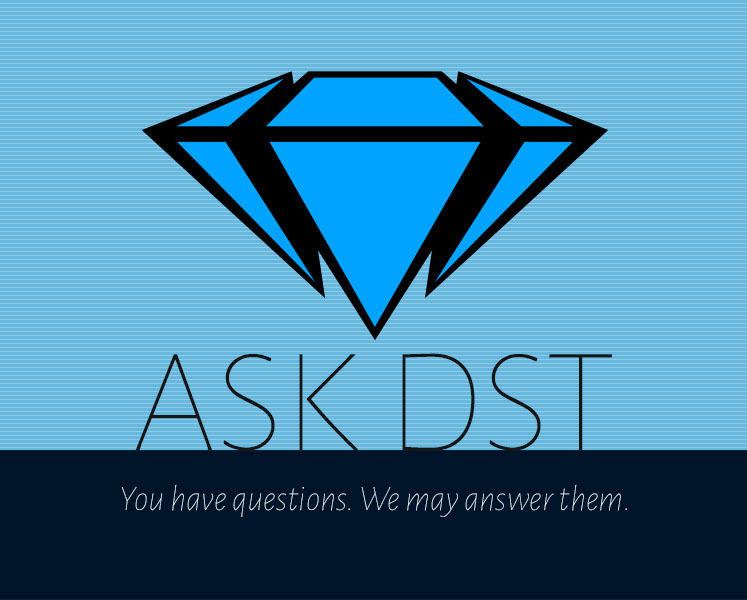 After the month-long madness surrounding New York Toy Fair, it’s finally time for a new Ask DST with Diamond Select Toys president DSTChuck! This one is about those tiny toys with a ton of talent, Minimates, and there are a ton of great suggestions for various licenses, as well as inquiries about Alien, Predator and of course Marvel! Read on for the answers, and if you still have questions you can submit them in the drop-down form up top, or e-mail DSTChuck! Hello, DST. 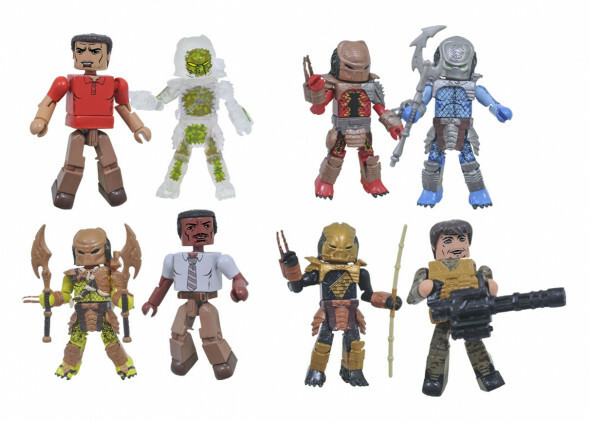 Is there any way in the foreseeable future we would get Stranger Things Minimates? You guys would do a splendid job. 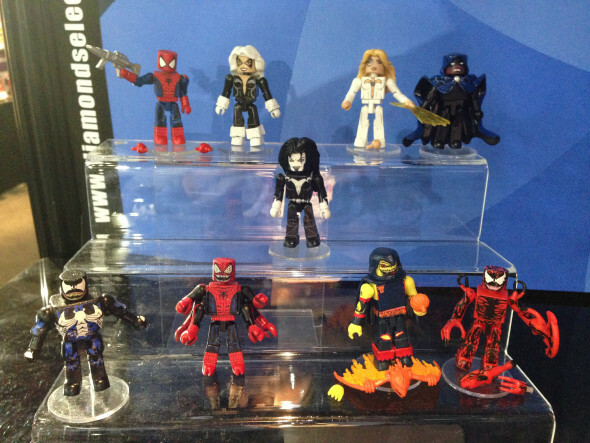 Also, Minimates based on classic horror characters like Jason, Freddy and Michael Myers. Thanks for your time, loving all the releases this year! DSTChuck: Marcus, thanks for the support and interest, but as of now we are not working on any of those properties. Hopefully some of the new things we are working on will excite you. Maybe John Wick? Fingers crossed! 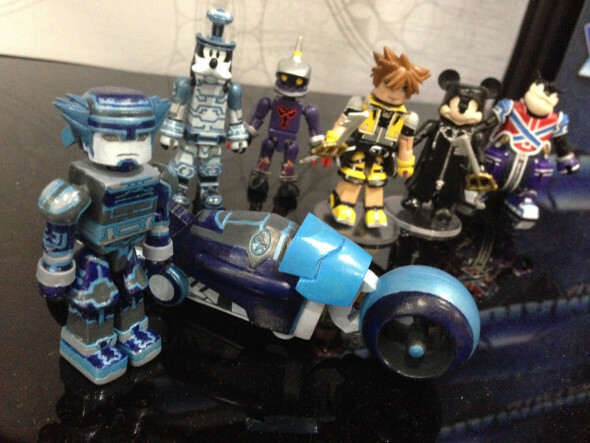 Hi, I am a huge fan of Minimates I have collected thousands and I love each and every one of them, I was wondering if you were making any other line up besides Marvel, do you think there’s a chance you might make final fantasy Minimates or more dragon age Minimates? Or possibly Doctor Who Minimates, I think those may be cool and other people would love to see those, that’s just a thought, thank you so much for your time I look forward to your reply. DSTChuck: We have looked at a couple of those properties in the past, and we had no luck working anything out. But never say never! In the meantime, Kingdom Hearts is kind of Final Fantasy-adjacent, and Series 1 will be coming out soon. Hi there. I hope I’m one of many that are requesting a re-edition of the Thundercats series 1. Been a life-long Thundercats fan, and a recent, but ardent fan of Minimates (particularly Marvel and Capcom themed) because of my kids, I’ve been feeling quite unfortunate for missing out the craze by quite a few years now. Well, not entirely, because I was able to order through Walmart and Amazon series 2, 3 and 4, but I’m afraid i will never come across with the remaining series again. Which brings me to my last resource and ask you guys to, please, release series 1 again (i understand series 5 may not have been that popular) for the delight of the fans, old (like me) and new (like my kids). Nonetheless i feel a deep appreciation for the work you guys have done for fans world-wide, in offering us so much joy in the form of these exquisite mini figurines. Thank you! DSTChuck: I am sorry, but at this time we have no plans to re-release Thundercats. We made those for Icon Heroes, it was not a license we ever held, but they were a lot of fun to work on. What would it take to do more Street Fighter II? DSTChuck: We have made a lot of Street Fighter/Capcom over the years, but we do not have plans for more at this time. We’re excited about our upcoming Sonic and Kingdom Hearts Minimates, so maybe more video game Minimates are in our future! Any chance we can see Jocasta, Mantis, Swordsman, Wonder Man (red/green costume), Beast – maybe as an Avengers Bronze Age series? DSTChuck: After 75 series, I’d say any character is possible! After a Wolverine wave, a Marvel Knights wave, and a Spider-Man wave (76’s Maximum Carnage), the Avengers might be due soon! Hello Chuck! Could you please make Minimates of Conan The Barbarian? Specifically the movie, because Arnold Schwarzenegger is an icon and these figures would be a blast. DSTChuck: That would be great, I’m a big fan of the movie, but at this time we do not have any plans for Conan. Perhaps in the future! If you still have questions you can submit them in the drop-down form up top, or e-mail DSTChuck! 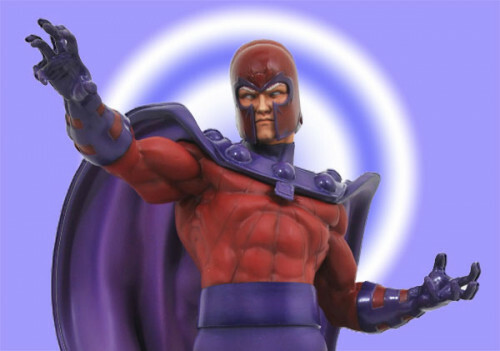 Next Up: New in Previews: Pacific Rim, Marvel, DC and NBX!